(CN) – Protection for Dreamers, Obamacare, transgender rights – Texas Attorney General Ken Paxton has led the GOP’s efforts to topple these cornerstones of Barack Obama’s legacy. But Paxton is in a dogfight with a Democrat who is using his pending criminal charges as the centerpiece of a campaign to unseat him. Paxton has been uncharacteristically low-key in his re-election campaign against Justin Nelson, a Susman Godfrey partner, University of Texas constitutional law professor and founder of One Nation One Vote, a nonprofit advocating for U.S. presidents to be elected by popular vote. Paxton has refused to debate Nelson even as the challenger airs TV ads showing Paxton’s smiling mug shot taken after he turned himself in to the Collin County Jail in suburban Dallas in August 2015, when he was booked on three felony charges and was quickly released after paying a $35,000 bond. Nelson told Courthouse News that Paxton chose not to debate him to try to keep his criminal charges off Texans’ radar. “He didn’t want to debate because this is his strategy. His strategy is not to engage with the public. His strategy is he does not want to talk about how he’s the first statewide official in Texas history to run for re-election while indicted, about how he’s charged with defrauding his friends and his clients and his fellow Republican lawmakers … and he doesn’t want to talk about how he’s been serving the special interests and not the public interest,” Nelson said on the phone Friday morning. The two securities fraud charges and one count of failing to register with the Texas securities board as an investment adviser, which carry a possible sentence of 99 years in prison, date to 2011 when Paxton was a member of the Texas House of Representatives. He is accused of failing to tell investors in the tech firm Servergy, including Corsicana state lawmaker Byron Cook, that he would earn commissions on their money and of lying to them that he was investing in the company. The case is paused as the Texas Court of Criminal Appeals decides whether a $199,000 bill three special prosecutors assigned to the case submitted for their pretrial work should be paid. Paxton’s supporters say the dragged-out process is proof the charges are bogus. “Texas voters should question the legitimacy of a prosecution that has stretched on for more than three years,” Lucy Nash, communications director for Texans for Lawsuit Reform, said in a statement to Courthouse News. Texans for Lawsuit Reform donated more than $700,000 in in-kind donations of advertising and polling to Paxton’s campaign in October. The fact that a group dedicated to lawsuit reform is supporting Paxton might seem odd to his critics, who say he uses his office to advance the ideology of the Republican Party. Paxton is leading coalitions of Republican attorneys general who have sued seeking declarations that two of Obama’s signature programs, Deferred Action for Childhood Arrivals, or DACA, and the Affordable Care Act, better known as Obamacare, are unconstitutional. 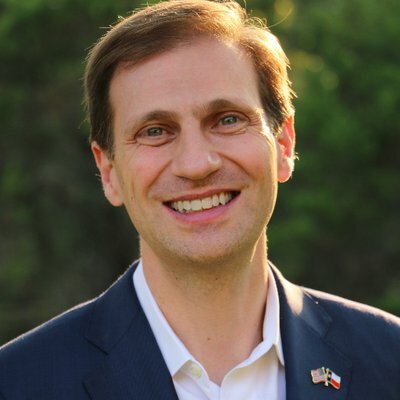 Nelson claims that by attacking Obamacare, Paxton aims to undo its most popular provision – blocking insurers from denying coverage to people with pre-existing conditions. A recent Texas Tribune poll showed Paxton leading Nelson by 12 points, with 6 percent of respondents saying they’ll vote for a Libertarian candidate and 10 percent saying they’ll support someone else. Despite those numbers, Nelson likes his chances of upsetting Paxton. “You know it’s close because he’s spending a bunch of money to spread negative false ads,” he said. Nelson said the race has nothing to do with immigration and he never said anything about it. “It’s just lies. He just makes it up. Look at the ad, there’s no citation on it. But that’s his standard playbook. He wants people to think that this is a regular race where the facts don’t matter I guess,” Nelson said. The Texas AFL-CIO has endorsed Nelson. Its director Rick Levy said those two lawsuits show Paxton does not advocate for the good of Texans. “Texas leads the nation in uninsured people and yet you have the state’s chief lawyer trying to make that worse because of some ideological concern and that is indefensible in my view,” Levy said in a phone interview. More than 4.5 million Texas adults under 65 have a pre-existing condition that may preclude them from coverage if the ACA is struck down, according to the Kaiser Family Foundation. DACA protects more than 100,000 undocumented Texans from deportation and lets them get driver’s licenses and work permits. “He’s basically using the resources of the state to undermine the security and well-being of the people who live here and that’s just not acceptable,” Levy said. Another Paxton-led team of attorneys general won an injunction against a May 2016 directive from the Obama administration ordering public schools to let transgender students use the bathrooms of their choice. The Justice Department stopped defending the transgender rule shortly after President Donald Trump took office in January 2017. Paxton recently told Fox News he supports Trump’s push to end birthright citizenship for children of undocumented immigrants. “You create an incentive for somebody to cross the border, have a baby and suddenly they’re a citizen. It doesn’t make any sense and I’m glad the president’s taking a look at this,” he said. The Sierra Club’s Lone Star Chapter is also endorsing Nelson. Its political chair David Griggs said Paxton has wasted taxpayer dollars fighting Environmental Protection Agency rules put forth to force coal-fired power plants to reduce their pollutant emissions. But Nash, with Texans for Lawsuit Reform, said Paxton is the best candidate for public safety. For example, she said, working with the Justice Department and the California attorney general’s office, Paxton helped shut down Backpage.com, a website accused of making millions in ad revenue from pimps trafficking underage girls. 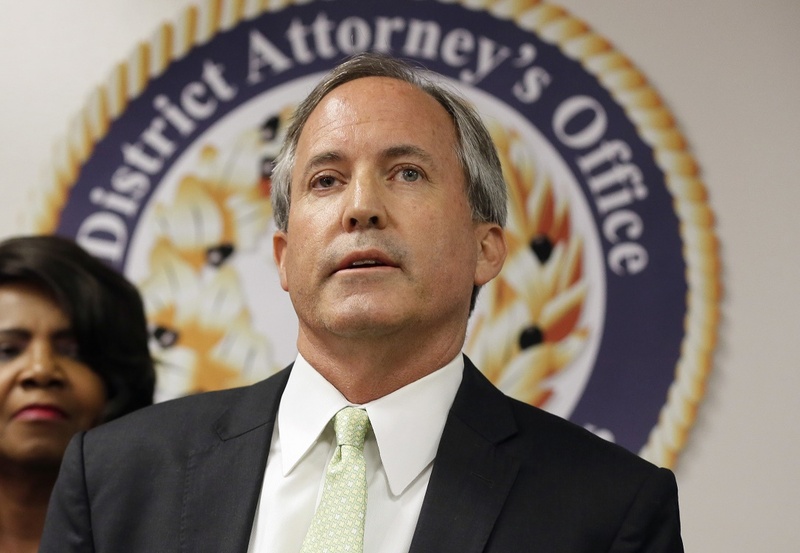 Paxton’s campaign manager did not respond to a request to interview the attorney general. Though Texas’ Republican leaders are seen as practically upset-proof in a state that has not elected a Democrat to statewide office in 24 years, Paxton is vulnerable due to his pending criminal charges and Democratic enthusiasm fueled by the Ted Cruz-Beto O’Rourke U.S. Senate race at the top of the ballot. Levy, the union president, said if it was up to him Paxton would be disqualified from running for another four-year term as the state’s chief lawyer.